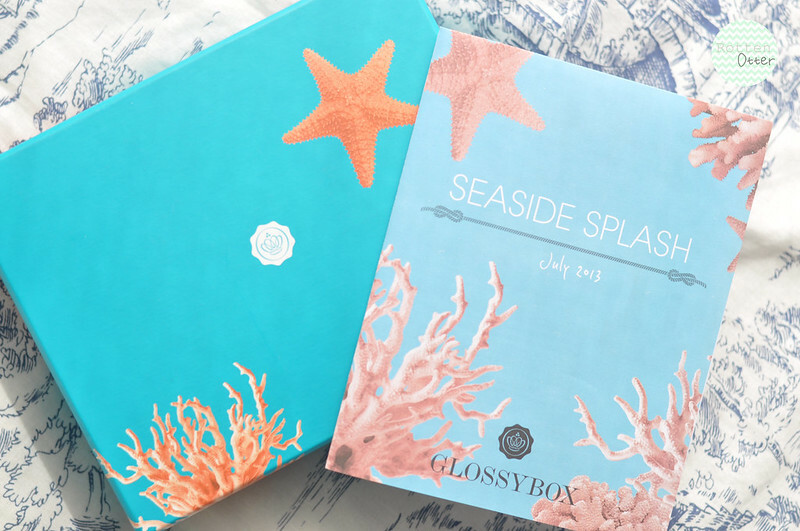 First off how amazing is the box for the July Glossybox*?! The special design boxes are always my favourite and it makes a nice change from the pink ones. 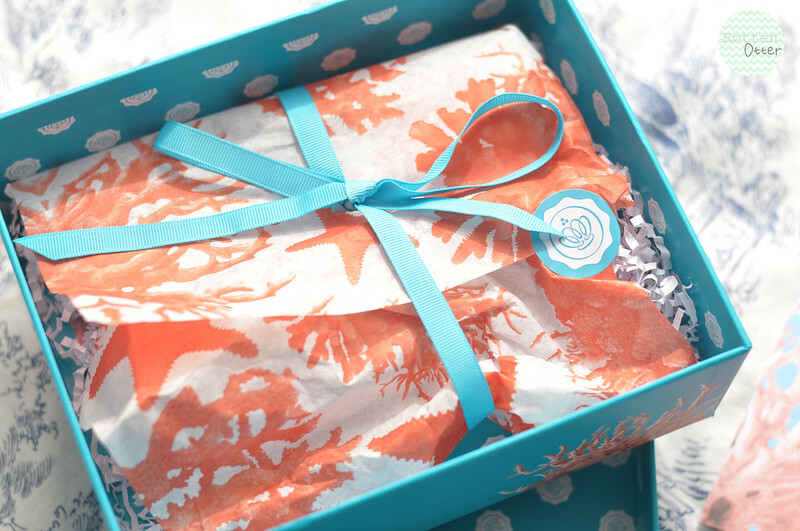 This months theme is Seaside Splash which is perfect for the lovely weather we've been having. All the products needed are perfect for this time of year and for the most part I'm pretty happy with the selection. Anatomicals Spray Misty For Me Facial Spritz - I was looking forward to trying this facial mist but I'm really not a fan of the scent. It's meant to be lavender and peppermint which although an odd combination they usually smell nice together but not with this one. It reminds me of cleaning products and my mum wasn't a fan of this one. Unfortunately I don't think I'll be using this product. 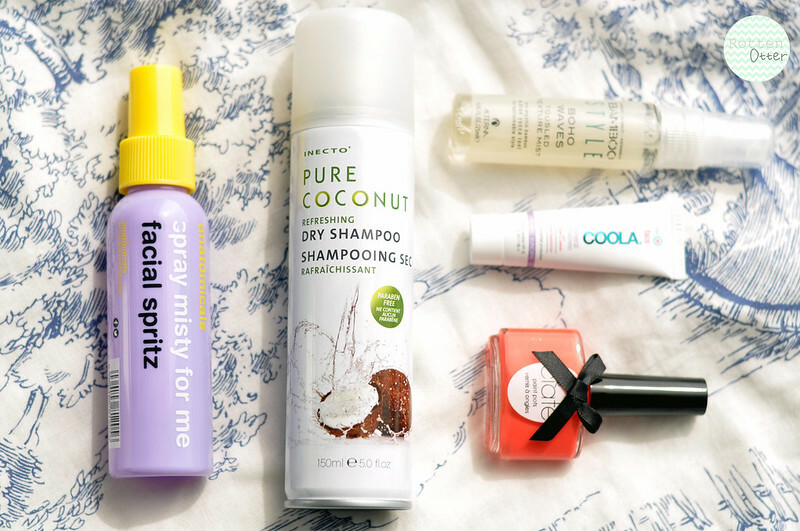 Inecto Pure Coconut Dry Shampoo - I love dry shampoos but don't always like the scent of the Batiste one's so this coconut scented one is perfect for me. I love coconut scents so I hope this works well. Alterna Bamboo Style Boho Waves Tousled Texture Mist - This spray can be used on wet or dry hair to create texture, volume and shine. I'll be testing this out next time I wash my hair and hopefully create a nice beachy style. Coola Mineral Face SPF 20 Rose Essence Tint - There was a Coola product in last months Birchbox and was excited to see another product from the brand in this box until I opened it. SPF 25 is way too low for me when it's sunny, I always use SPF 50, but it could work on an everyday basis for a little bit of protection, like when I'm at work and hardly in the sun apart from my journey to and from. The main problem for me is that it's tinted and extremely orange. I have very pale skin and there's just no way I can use this. Ciate Nail Polish In The Gossip - I always love getting nail polishes in beauty boxes and this colour certainly doesn't disappoint. The Gossip is a coral creme which is slightly more orange than your standard coral.